Engraved Silver Cufflinks Gift Box. They measure 75mm x 39mm x 30mm. 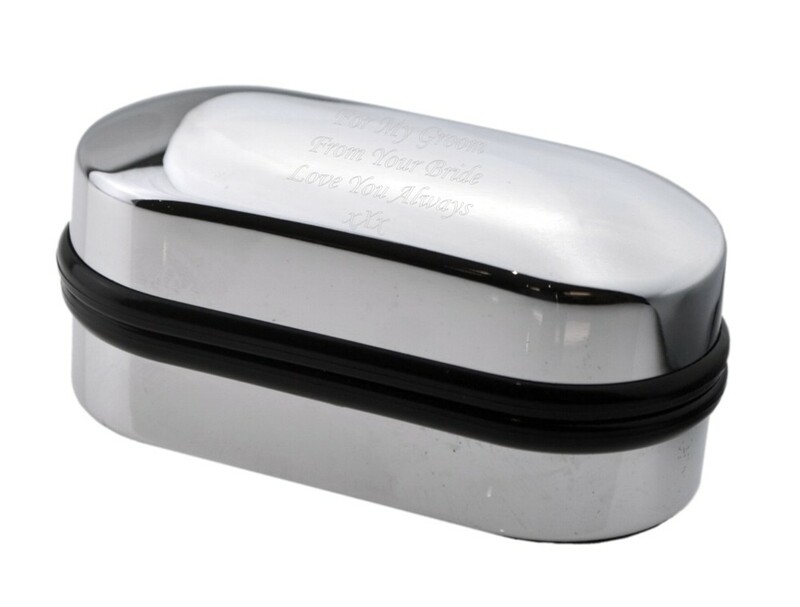 A great personalised gift chromed lightweight cufflinks box with black interior.